End of Tour de Fleece today, and here's what I have. But Wait! Last weekend I had to go to A Verb for Keeping Warm to engage in commerce. AVFKW is my local resource for spinning - they have wonderful fiber, yarn, spindles, wheels, combs, books and classes, as well as people who are very personal, engaging and warm themselves! Go check them out. 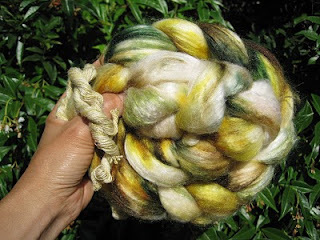 So I acquired and plunged into Pigeonroof Studios "Forest" - 50/50 SWmerino/silk, and spun & plied 7g. _plus "Ocean Rudeness" in the tank. 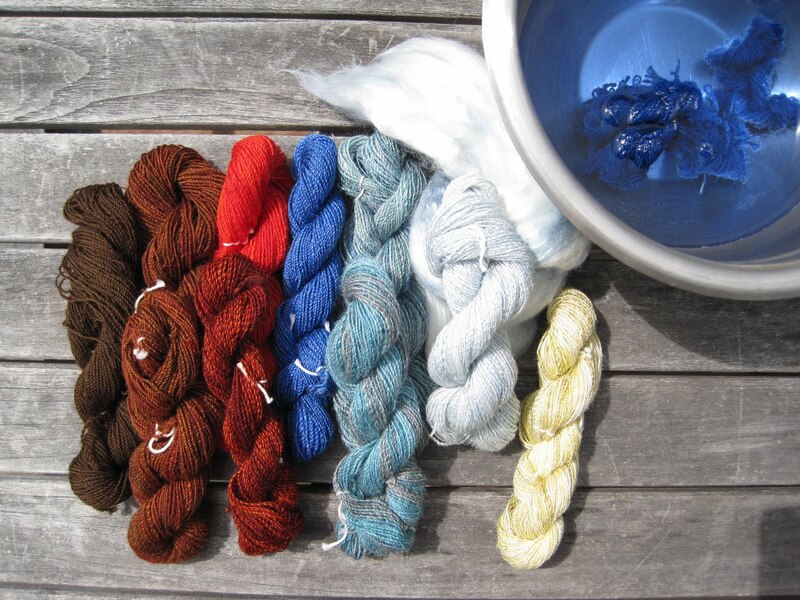 What fun to move from one fiber to another, one color / element to another. This rookie lantern rouge is continuing to learn! Thanks very much to Knitflix, who got me going on this and also tries to help me with my blog posts. Love the spindle and the "spontaneous generation" of strong cord from ethereal fluff. 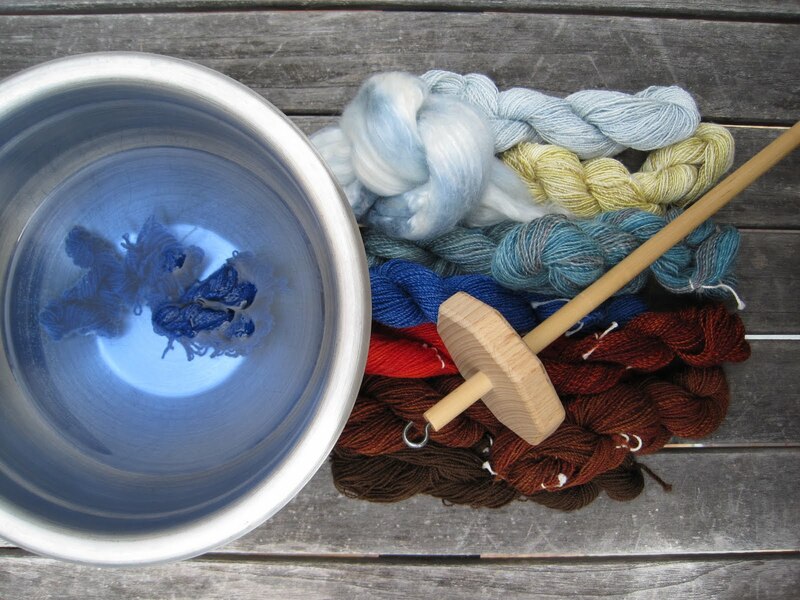 Look at all the yarn you spun on a spindle! Wow, I'm impressed. Well done, well done. Oh, wow! I know I am totally late in reading this, but those all came out amazing!